COMFORTABLE ROOMS WITH A VIEW! Enjoy spring fishing. This May, stay in one of our 8 cozy guest rooms and save 30% off our regular daily rate! This offer can not be combined with any other specials or discounted rates on our guest rooms. 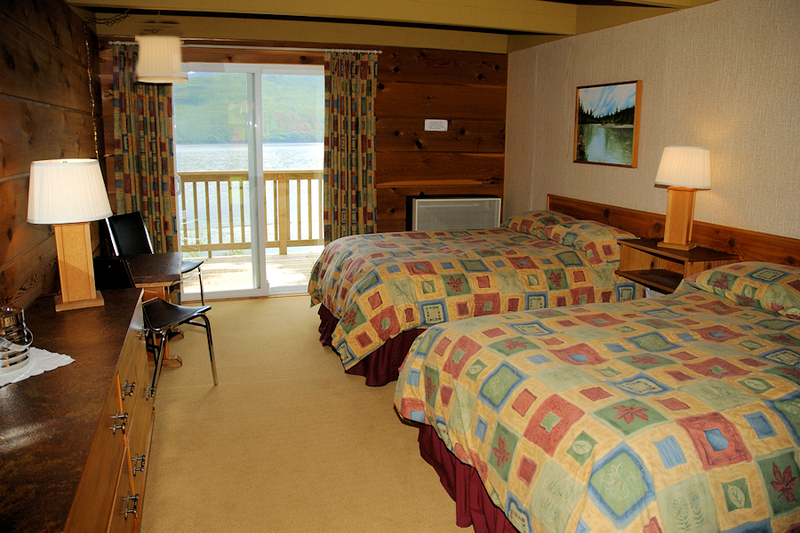 Each room has 2 double beds with duvets, private bath, sliding glass doors onto your own lakeside deck and spectacular view of Quesnel Lake. Maximum 4 people. No pets. Book now for May and save 30% off our regular daily rate. This offer can not be combined with any other discounts or special rates on these cabins. We have 4 large rustic cabins. All have one stand alone bedroom with either 2 single beds or a double bed. Plus, there is a sleeping area in the combination livingroom/bedroom area with either 2 single beds or 1 double bed. 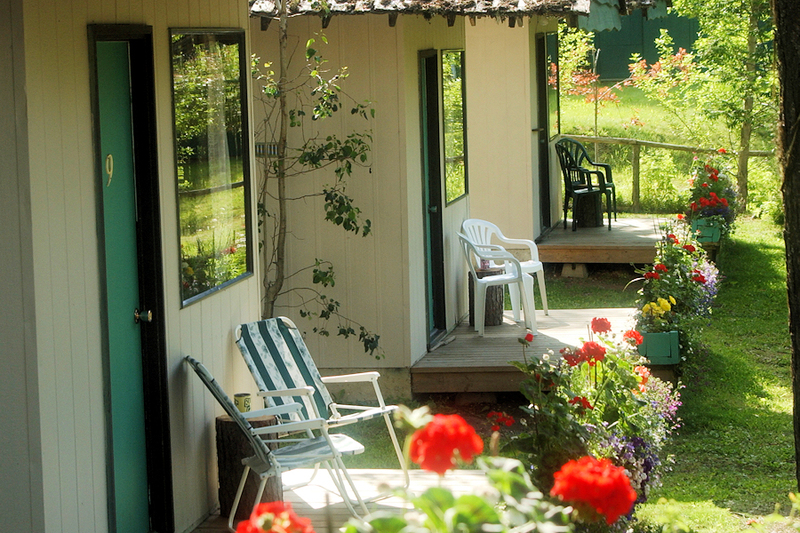 Each cabin has a fully equipped kitchen, cold running water and use of a central bathhouse. Linen and towels included. Maximum 3-4 people. Pet friendly $5/day, maximum 1 pet. 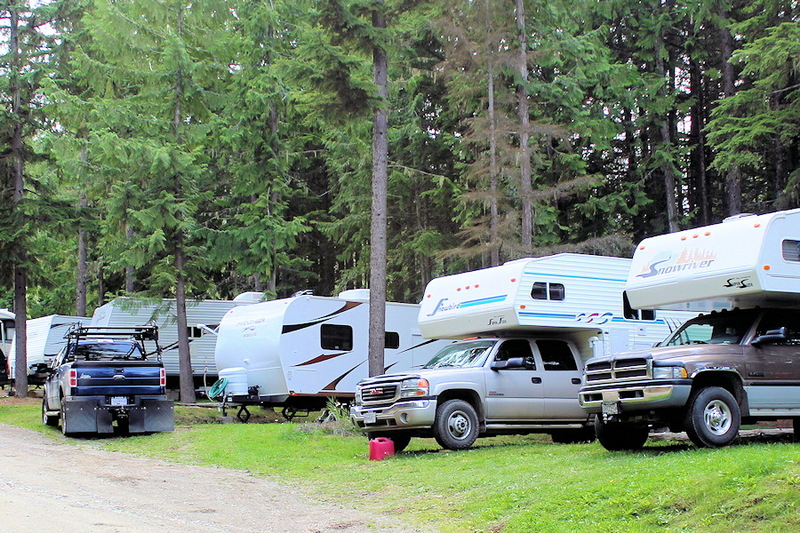 We have 14 full-service RV sites which include power, sewer and water. Each site has a picnic table and firepit (firewood is available for $10), and use of central shower house, all with a filtered lake view. Pet friendly with a maximum of 1 pet at no charge. Save money, and join us this May to discover spring fishing at it’s best. Request your booking online now!